Green Drinks is a global movement in over 70 countries and 537 cities worldwide. Locally it is hosted by AWARE, Whistler’s environmental charity. We come together on every first Wednesday of the month to discuss local or global environmental issues and concerns. We brainstorm ideas, solutions and promote sustainable living. A great way to meet new like minded people in town and have stimulating conversation. 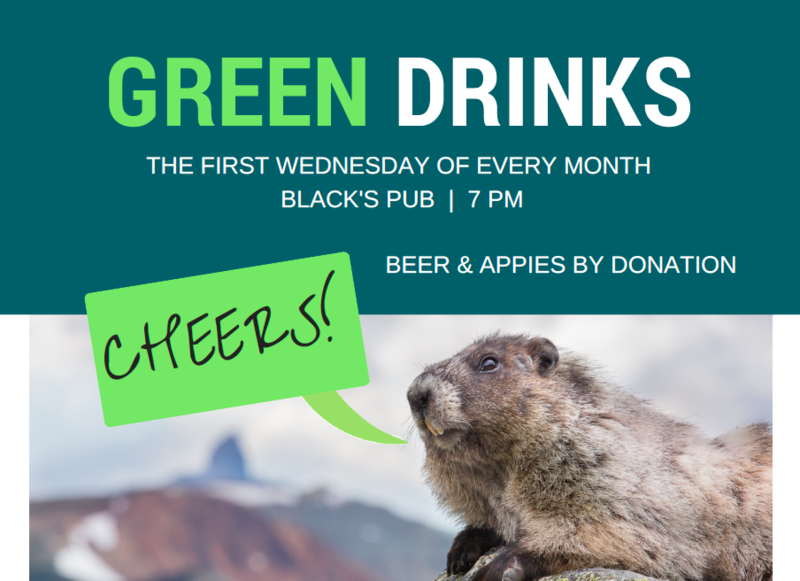 Green Drinks is by donation, and possible thanks to our sponsors.